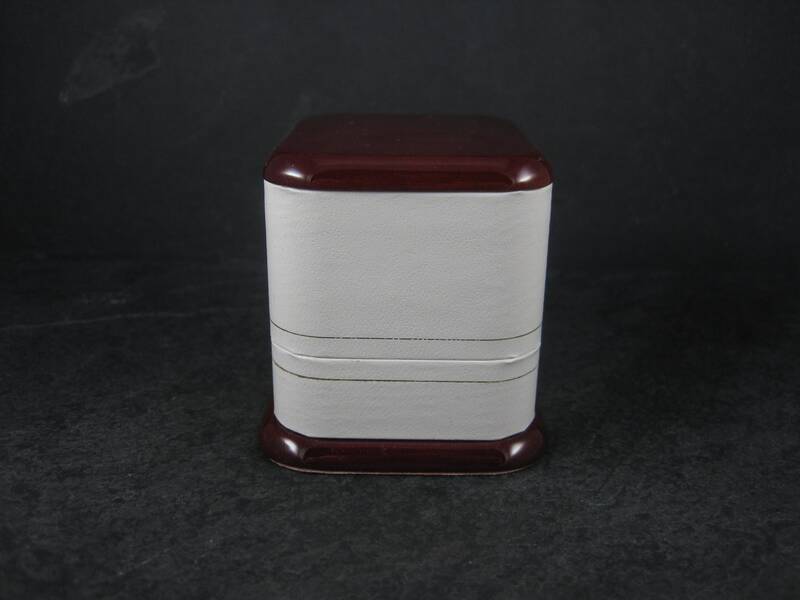 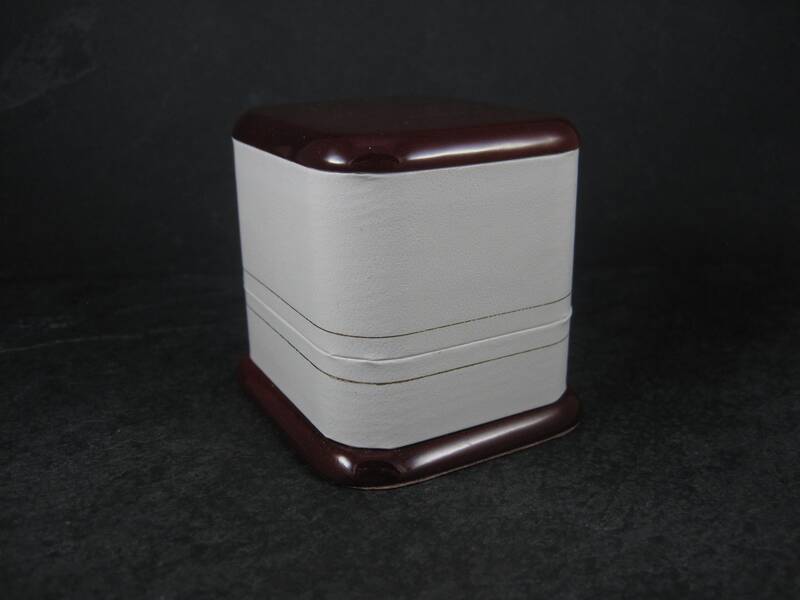 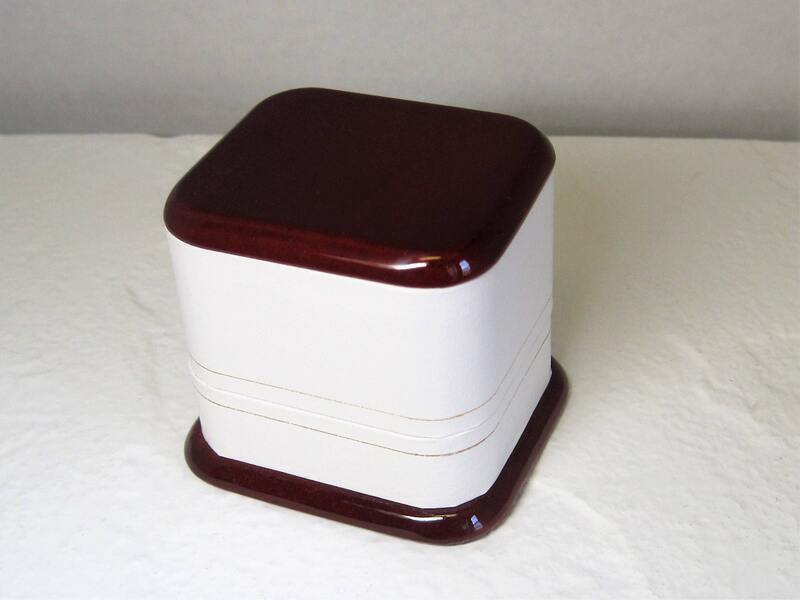 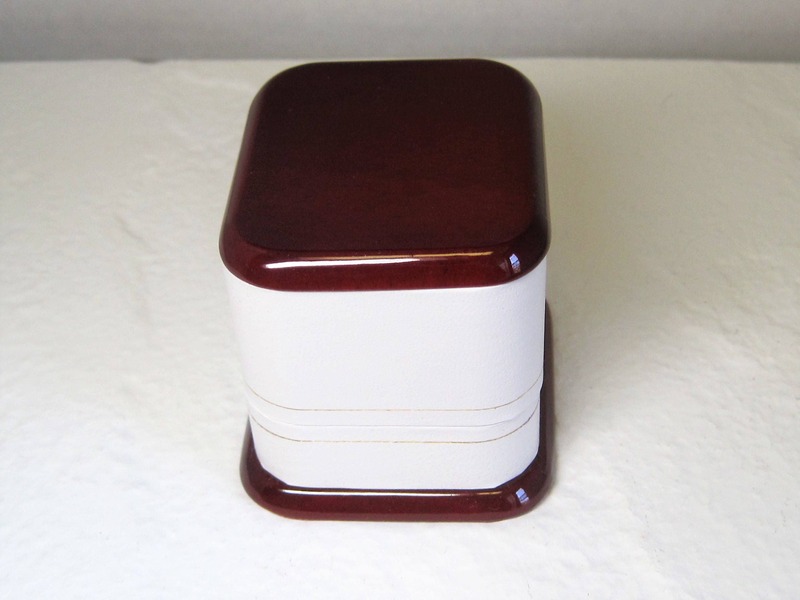 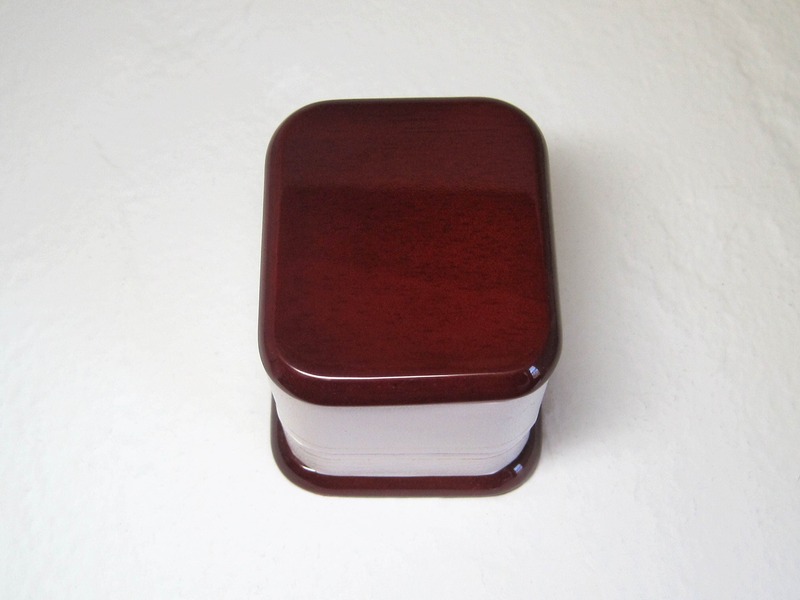 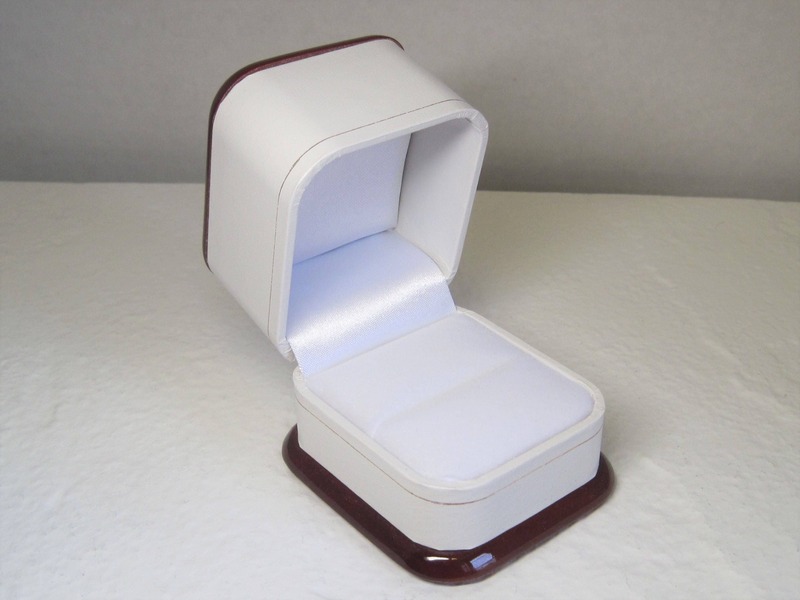 This gorgeous ring box is comprised of genuine rosewood, white leatherette and gold striping. 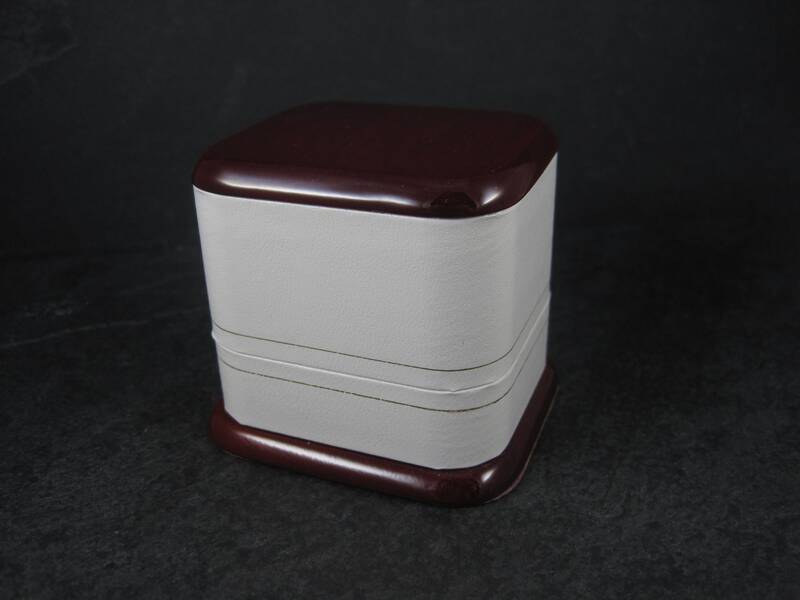 The interior is soft white velvet and the bottom is maroon felt. 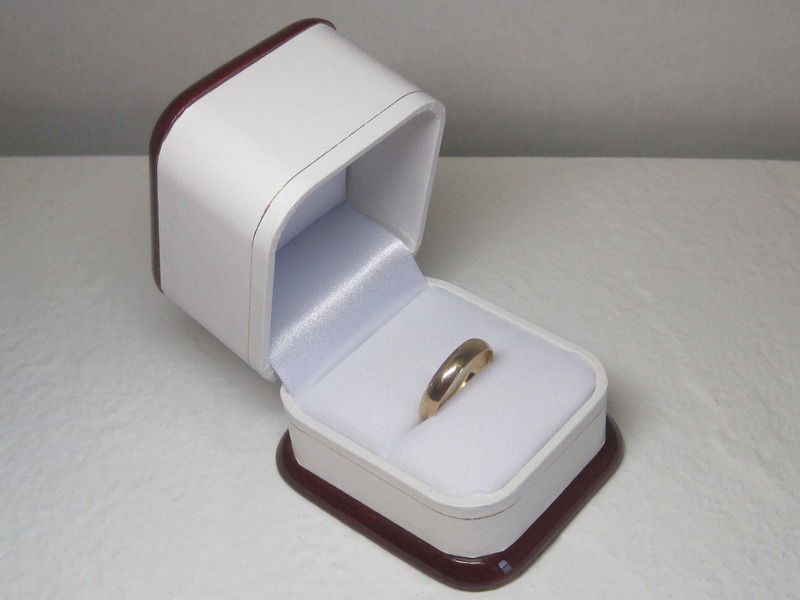 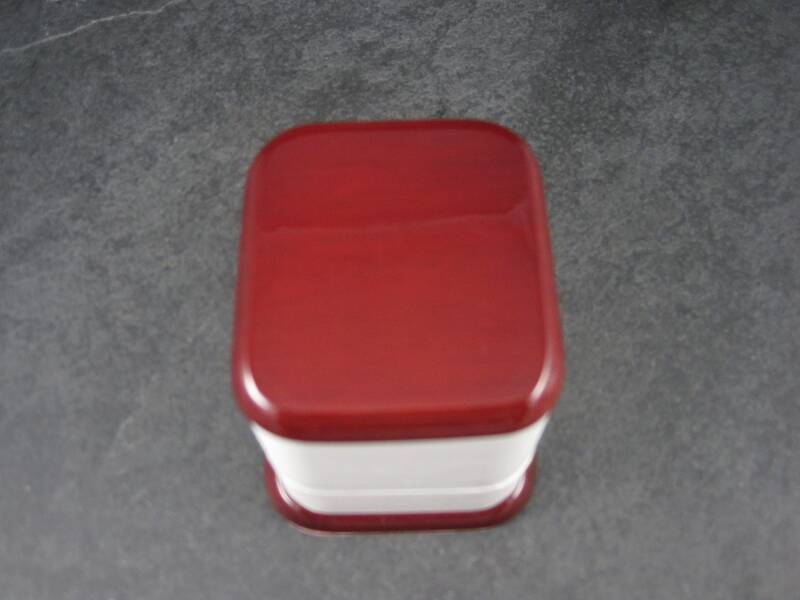 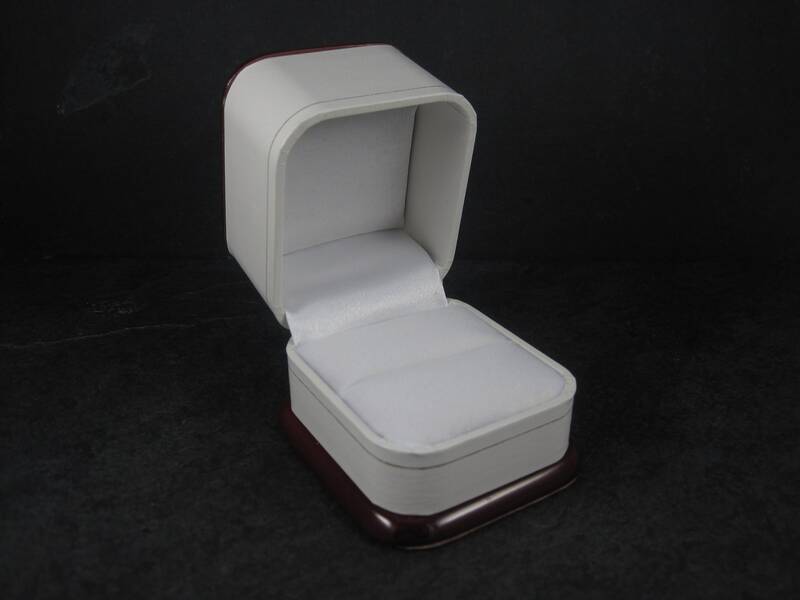 Size: 2 1/8" x 2 1/2" x 2 1/4"
This box would make the perfect presentation box for an engagement ring or a great box to make sure your rings are shipped safely.